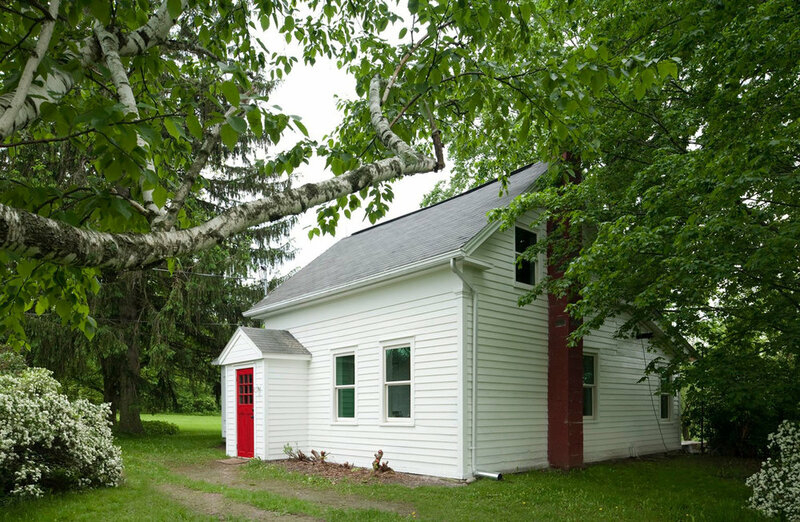 This 12oo SF Hudson Valley Farmhouse, originally built in 1870, is located in Kinderhook, NY. 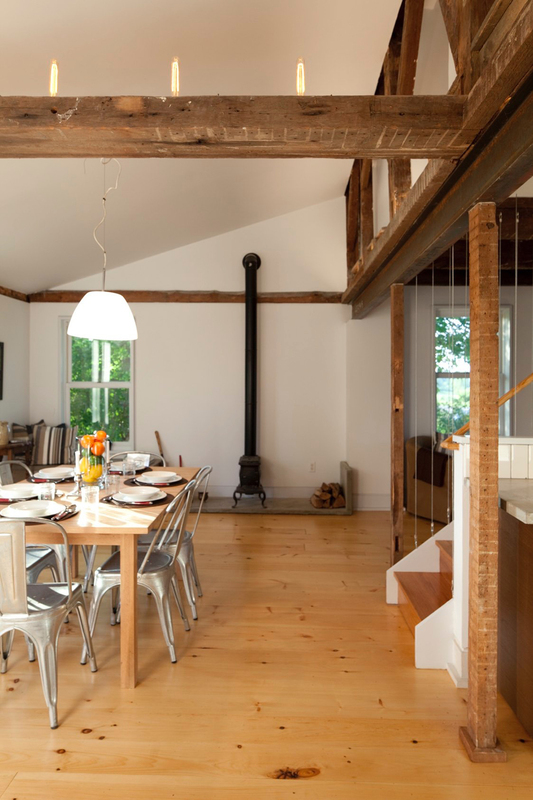 The house was gut renovated in 2012 combining modern design principles and details with a vernacular pallet. An open floor plan accommodates the kitchen, dining, and living areas with floating bedrooms at the upper level. 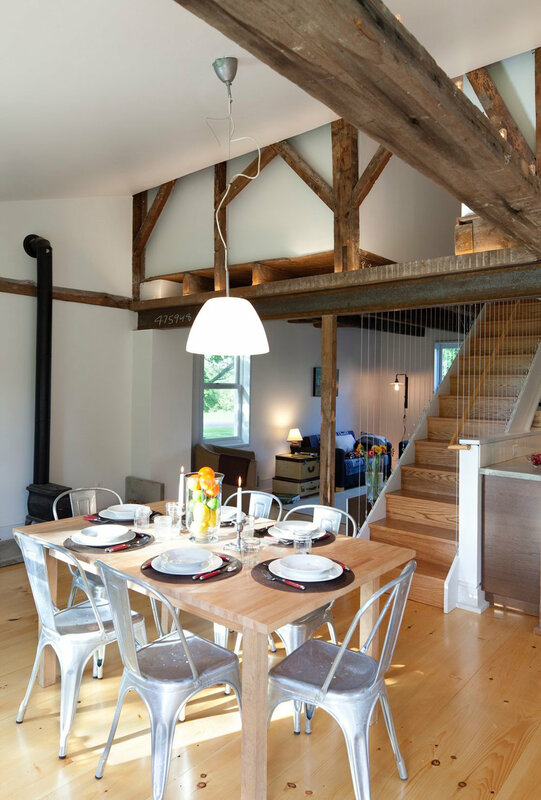 The original wood structure of the house is carefully integrated into the new construction, celebrating the craftsmanship of the original design.